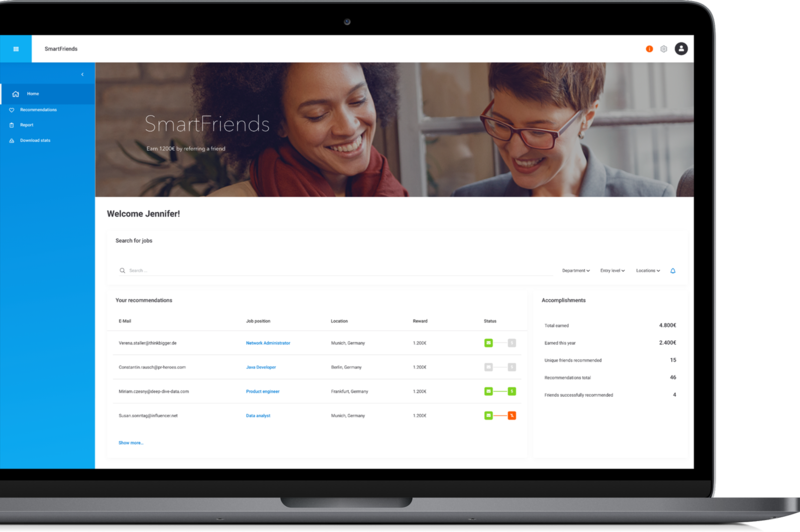 #smartFriends is an employee referral platform that enables you to find the talents faster and let your employees benefit from it. #smartFriends lets your employees share the job vacancies within their personal network. You get better applicants while your employees –receive an reward for the successful referrals. 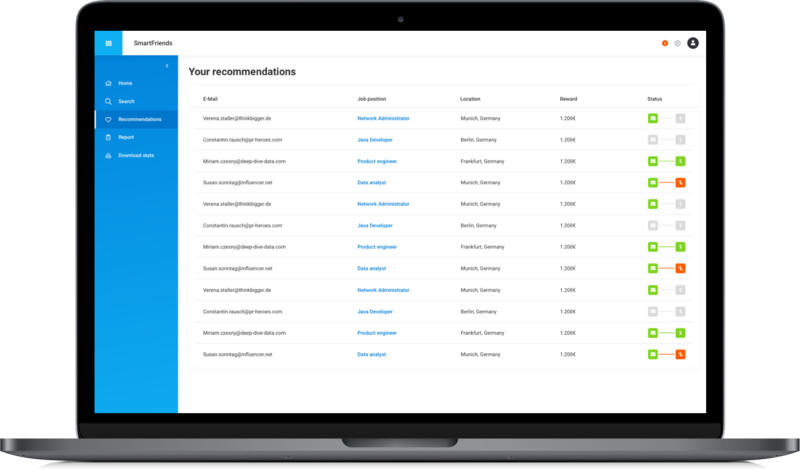 SmartFriends is easily integrated into your company‘s recruiting backend system. Your employees see open job postings in the recruiting system. Through one click they can send selected job posting per E-Mail to suitable candidates from their personal network. 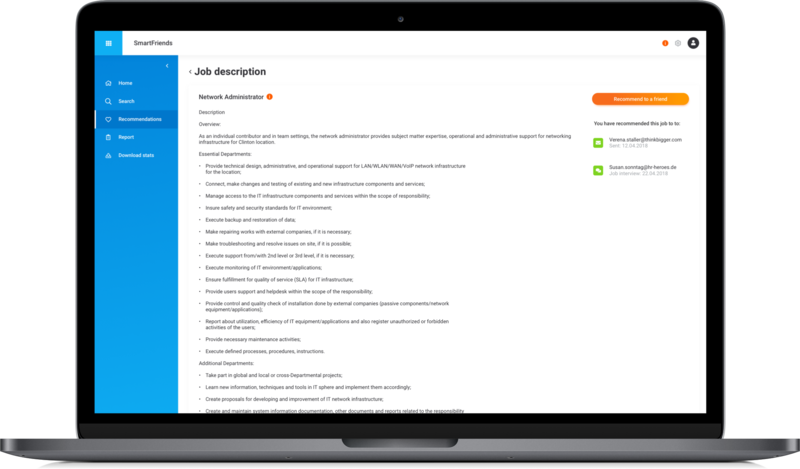 The candidate gets a link to the job posting on your publicly available recruiting portal, and can apply as a regular applicant. In case of successful hire, and upon meeting the predefined criteria, your employee receives a reward. 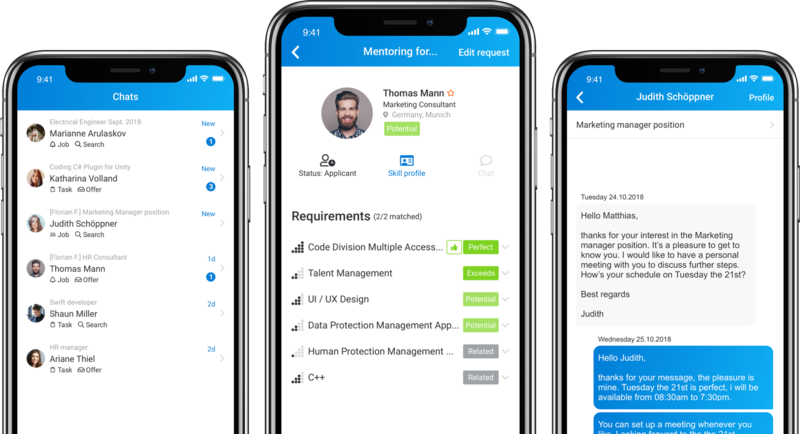 The HR Managers can control and analyze the success of hires through automatically generated reports on tool usage and the recruiting process. #smartFriends – connect the right people. 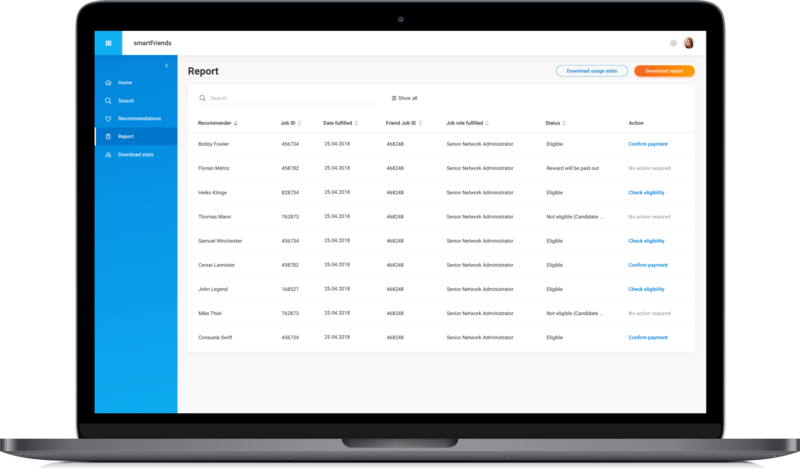 Your employees can check any time the status of their referral. Through the successfull hires they get motivated and engaged. Gamification is one of the triggers for your employees to achieve successful hires for the company.